One week ago, a madman opened fire in a theater in Lafayette, La., killing 2 people and injuring others before killing himself. 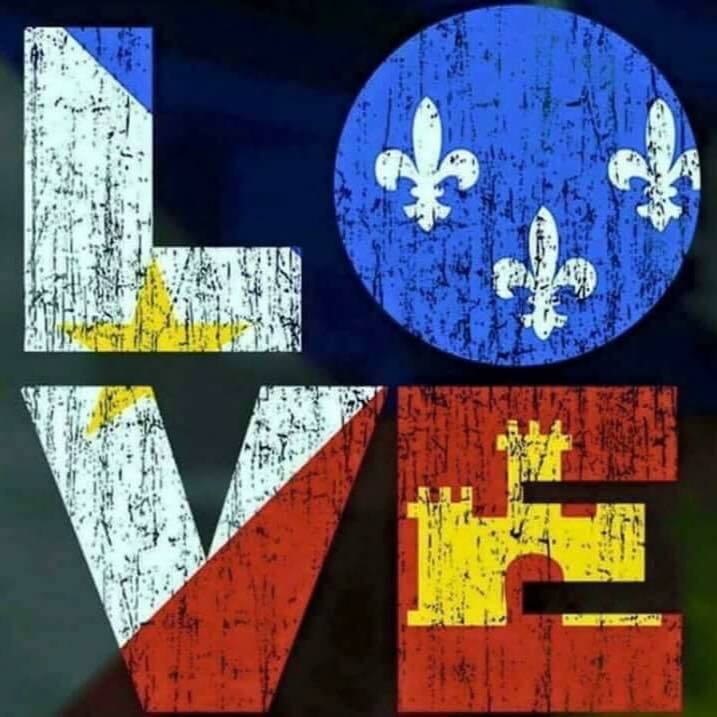 I don’t often use hashtags, but #AcadianaStrong #LafayetteStrong and #PrayforLafayette strikes home because yes, this is home, and people and families from throughout the Acadiana area were deeply affected. I’ve been to that theater, and have brought my children there over the years as well. The day before the shooting, my daughter and I shared latte and conversation at Johnston Street Java, a coffee shop in the parking lot of the Grand. I (and everyone I know) share connections to those shot, and we are all shell-shocked, grieving, and wondering why. Reasoning and political posturing (which isn’t always reasonable) fly in the aftermath. I would like to think we all agree that we want a peaceful society. Sometimes, though, I wonder. Do we really, really want a peaceful society? If the answer is yes, then why do we worship violence through our choices of entertainment? Consider the changes in Hollywood over the past several decades. Violence is invited into homes on a daily basis, and not just through the news. Millions flock to movie theaters, and Hollywood glorifies violence in ever-increasing graphic, sometimes even sadistic, detail. Many video games encourage participation in bloodlust. Numerous actors, directors and others who make their living (often a very, very good living) in the movie industry call for gun control, but then don’t live their convictions. If you want to make a difference, please start by setting an example. As for the rest of us, we don’t have to patronize movies or other media that glamorize violence. If enough people feel that way, profits for such media will shrink, and its presence will diminish. Another point to ponder: If we really want a peaceful society, then why are we becoming more and more of a secular one, afraid to touch anything that might bear the hint of religion or spirituality? We are, still, a nation of laws, and there are basic laws of God and nature that must be upheld. Thou shalt not commit murder. Thou shalt not steal. The strengths of these truths are watered down by a constant barrage of violent images and messages coming at us on television, in movies, games, music, online, etc. I don’t think there’s any single or simple answer to this violence. Humans are flawed, and some choose evil. Those who would commit evil can find a way to do so regardless of whatever laws there are to prevent them. Evil can use anything as a weapon, be it a gun, homemade bomb, club, car or airplane. The rage of a madman exploded in an act of violence that took the lives of two shining, vibrant young women and rocked the souls of an entire region. But I know that there’s something in this region, in our Louisiana culture that comes through in every disaster we face. It may not be unique in the world, but it’s more important today than ever before: Faith. Over 250 years ago, the Acadians were forcibly removed without warning from their homes in Nova Scotia. Families were separated, all property and land was taken, and the Acadian people were literally shipped across sea and land. Many were removed and displaced several times over decades before finally finding a place to settle. In most cases, they could bring nothing with them – except their faith. No Crown, no government, no soldiers or guns or threats or ships could strip that away, and they clung fiercely to God and to each other. Generations later, we still turn first to God in times of need, regardless of religious denomination. Our ancestors learned that no one can take faith away from you. It may be shaken, it may be temporarily misplaced, but no one can take it away. Not hurricanes, not economic disasters, not oil spills. 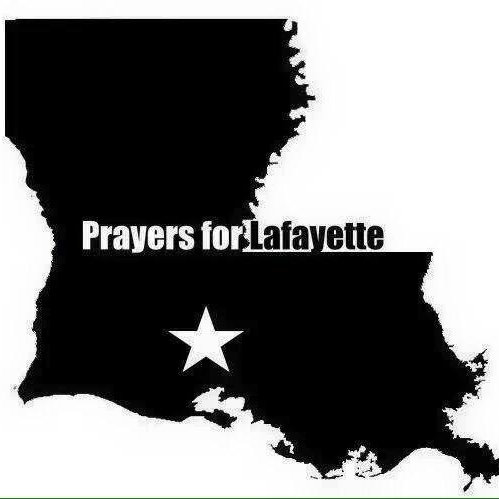 As the eyes across the nation and beyond focus on Lafayette and all of Acadiana, I hope they can see and sense our prayers, our faith, our trust in God. Tonight there is a concert and gathering in Lafayette for strength, prayer, hope, music and togetherness. For every person in attendance, there will be countless more who cannot be there physically but are present in prayer and spirit. And yes, we feel, and deeply and humbly appreciate, the prayers from around the world. I think of the song Let There Be Peace on Earth. We all want peace on earth, as impossible as it may seem at times. The lyrics “…let it begin with me” resonate with more truth than ever, for where else can peace begin but with the individual? The response of Emanuel Church in Charleston give us a beautiful example of this. As we all wonder why, and what can I do, the answers come back to those answers known for generations, entwined in our DNA. Keep faith, pray, and know that the first step in achieving peace on earth lies with each one of us. Right now I’m preparing for an upcoming musical offering at a church. Our opening song will be Simple Gifts, which is a traditional Shaker song that I’ve always loved. Today I took a few minutes away from my regular routine to do some digging into this beloved song’s history. Simple Gifts was written by Shaker Elder Joseph Brackett in 1848. The proper name of the denomination is the United Society of Believers in Christ’s Second Appearing (or simply “Believers”). 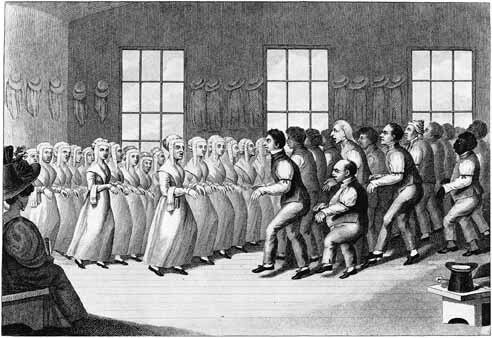 They were referred to as “Shakers” because of their very active ways of worship. My college Zen teacher, Fr. Ben Wren, SJ, would have called it “three dimensional prayer.” They danced (or “labored”), trembled, clapped, fell, and…sang. Do just a wee bit of digging online on Shaker song history and you’ll find they were prolific songwriters – thousands of songs came from this relatively small denomination. Simple Gifts is a classic. The song enjoyed revival after composer Aaron Copland used the melody in Appalachian Spring, a ballet, and then in a collection, Old American Songs. Since then, it’s been recorded by many artists, and has been performed at two presidential inaugurations. ’til by turning, turning, we come ’round right. ‘twill be a sign for the giving to begin. Today I learned that (according to the Shaker Historical Society) Shakers believed that everyone has gifts and talents and each person was to use those gifts, and that creativity is a form of worship. Amen to that! Keep life simple, accept your gifts and share them. *© 2005 Brenda D. Lowry, all rights reserved.